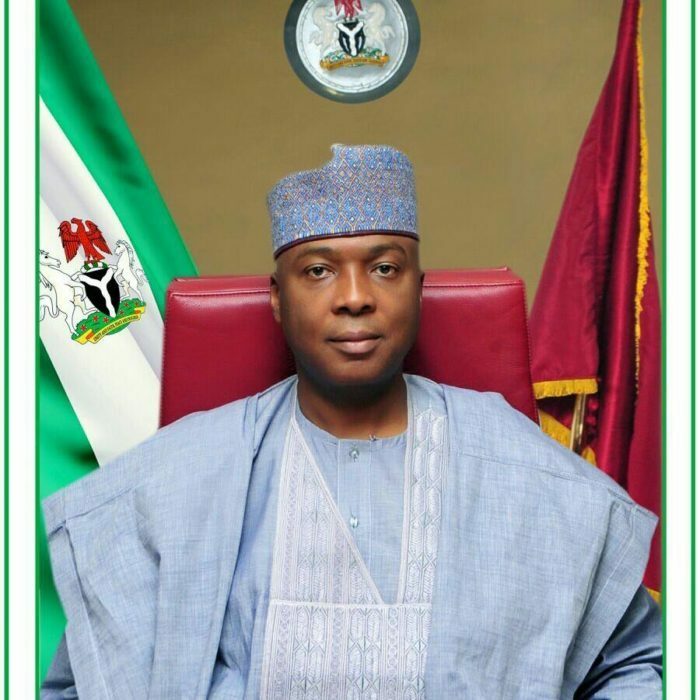 Following eventual disclosure by the Police that Michael Adikwu, the principal suspect in the deadly bank robbery attacks in Offa, Kwara State, on April 5, 2018, is dead, the President of the Senate, Dr. Abubakar Bukola Saraki, has called on the Presidency to institute a judicial inquiry into the 'how and when' the suspect died. In a statement by his Special Adviser (Media and Publicity), Yusuph Olaniyonu, Saraki noted that the new disclosure by the Police has vindicated his earlier claim that the suspect had been murdered in police custody and that the investigation was politically motivated to implicate him (Senate President), Governor Abdulfatai Ahmed and a few others. He stated that the inquiry would help to thoroughly examine and interrogate how the investigation into the robbery incident was conducted by the Police and whether the investigation followed the normal process and comply with global best practices. He added that the Police needed to confirm why it took them so long to make the disclosure about the death of the principal suspect after they categorically denied it at the time he (Saraki) disclosed the information and it was reported in the media. "It should be recalled that when we mentioned it that the principal suspect had been murdered and that investigation into the Offa robbery attack was politically motivated and targeted at implicating me and other individuals, the Police Public Relations Officer, Moshood Jimoh said: 'Michael Adikwu is in Police custody. You know that he is the one that led the killing of 22 people. The fire arms that were carted away, he is helping the police in the investigation to recover them. There is a state in the South-west where they kept him. I can't mention the state. It is in one of the South-west states'. "The fresh facts have now thrown more light into why there had been inconsistencies in the various statements by the police. The Police initially told the Attorney-General of Kwara State that the principal suspect was alive and they only later reluctantly disclosed that he died in the course of arrest. How can a suspect confirmed to be in custody now be said to have died in the course of arrest? This contradiction shows a deliberate attempt to cover up something. "It is obvious that the Police have orchestrated the information they give to the public on the Offa robbery only to tarnish the image of the Kwara State Governor and myself. We are calling for a public inquiry to probe the issues of extra-judicial killing, the cover-up of this killing with the aim of framing up some individuals for political purpose and politicizing of criminal investigations. The facts need to be laid bare. "The inquiry may help to further document and define the terms of handling of suspects in police custody and how to prevent extra-judicial killing of suspects, for whatever purpose. There is need for transparency in investigations into all cases and our methods should comply with global standards. We should discourage situations where police politicize investigations and deliberately set out to frame some individuals. "With the facts on ground, the issues that should be unearthed by the inquiry include: When exactly did the suspect die? How did he die? Why was the police denying the facts of his death when they knew he had died? At what point did the Police leadership knew of the death? Why are the police covering up the facts? We believe the answer to these questions will help the country to address the issue of human rights abuse, extra-judicial killing, manipulation of criminal investigation to achieve political end, deliberate attempt to cover up some facts and how skewed investigation of crime can impact on successful prosecution of suspects,” he added. Saraki stated that now that the Police have commenced prosecution of the remaining suspects in court, there should be diligent and prompt prosecution so that justice can be transparently done to both the victims of the Offa robbery and the accused persons.